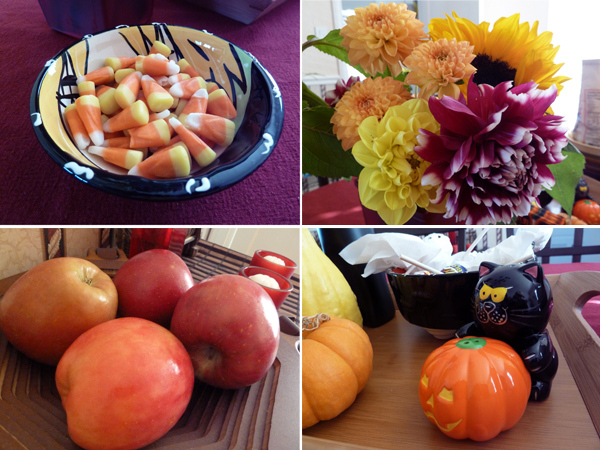 I'm still recovering, but thought I'd throw up a few pictures from our weekend Halloween party! Trader Joe's choco cake mix, yum! Thanks to three separate shopping malls and many of your suggestions, I finally found a yellow jacket (clearance section of Macy's) and some yellow tights (Charlotte Russe)! And, by the way, colored tights are a lot of fun. I think I need more of them in my life. 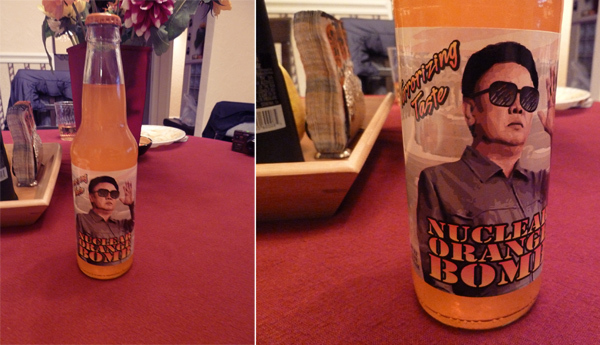 Friend E, cosplaying 20th Century Boy's in the above photo, brought a bunch of silly sodas from Rocket Fizz. Everything ranging from banana nut to bacon and in between. Other guests brought yummy salmon dip, and a new treat I've never had - halva! Which I can only think to describe as a more cake-textured Abba-Zabba. Nut-topped salmon dip to the left, halva to the right. For dinner we made a gigantoid pot of curry, and ordered a humongously-too-large tray of chicken katsu. Add rice and some Riesling wine and we were all full of warm curry goodness. I'm not kidding - party favors for everyone consisted of quart-sized bags of leftover chicken. It was that much. Cousin T brought Hello Kitty Halloween tattoos and set up a parlor. Everyone was required to get some kitty love. Even the manly-man-dudes. 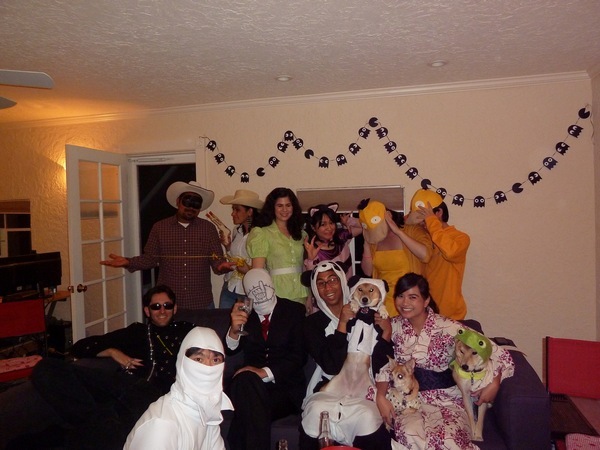 Left to right, top to bottom: we had a bandit and a sheriff, a Norman Rockwell Peach Crop gal, a Cheshire cat, two psyducks, a crazy man, 20th Century Boys Friend, two pandas, two kimono gals, a frog-turtle and Storm Shadow from GI Joe. Fun times! I died around 3:30 AM. That's kind of embarrassing, but I'm no longer the college kid I used to be! By the way, I would definitely recommend the movie Bad Ronald. It's very strange. Good in a bad way. Or bad in a good way? But you knew that - it's from the 70's, after all! Love your pictures!! It looks like such fun! I carved a mini-Totoro (the white one) into my pumpkin this weekend, but that was about it. Hoping to leave work early so as not to miss the little kiddie trick-or-treaters tonight! 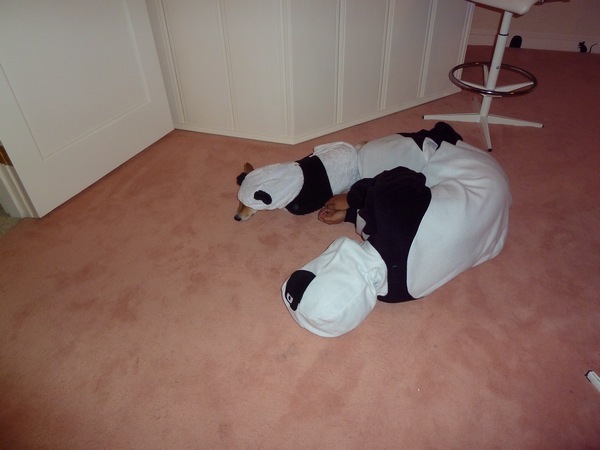 OMG Sleepy pandas. Adorable. I wish Tebow was more into the Halloween theme. It would be awesome. Looks like you had a great party! 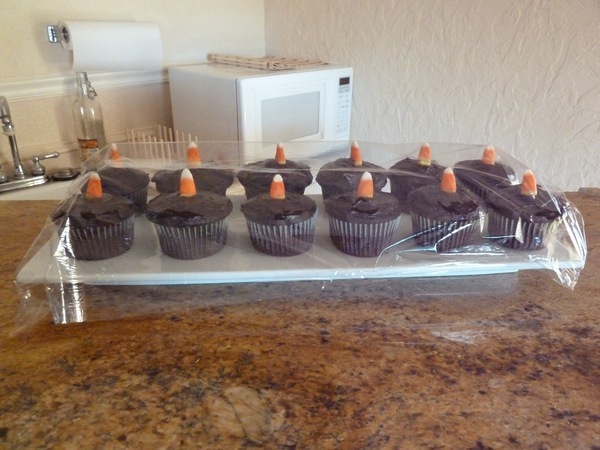 Those cupcakes with the candy corn topper are too cute :) Happy Halloween! Looks like such a fun party!! I'm getting old too, I was so tired around 3 am. looks and sounds like so much fun! 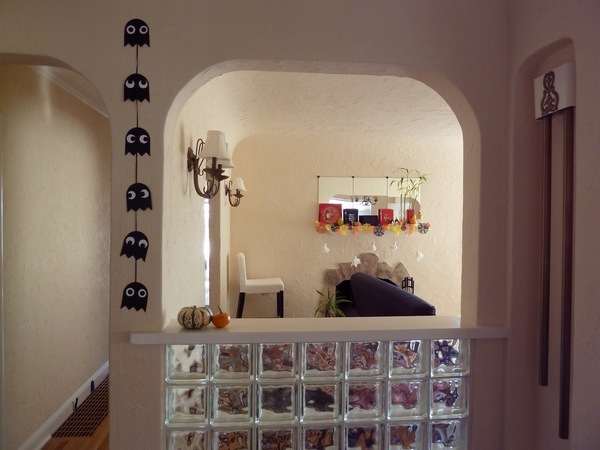 love the pac-man ghosts. and of course i die over the shiba panda (or at least it looks like a shiba inu). 3:30, that's CRAZY! Where does one order a large tray of katsu chicken? @alvina- we got it from this small cater place called happy chef in millbrae. 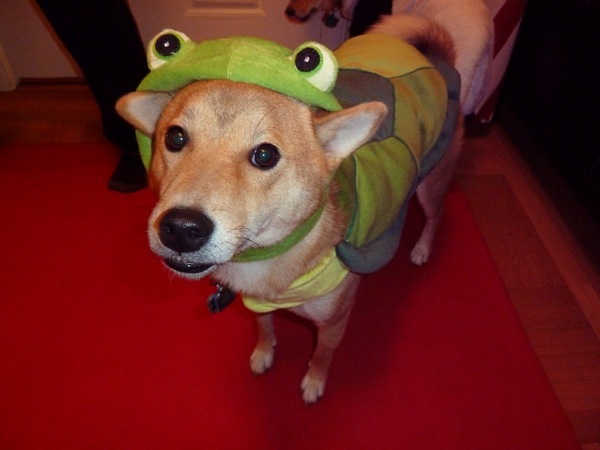 @pug- yep, cute shiba inus! Candy corn?? LOVING IT. That is the best Halloween candy of them all. WOW! We so would've loved this party - chicken katsu and curry!!!!!! 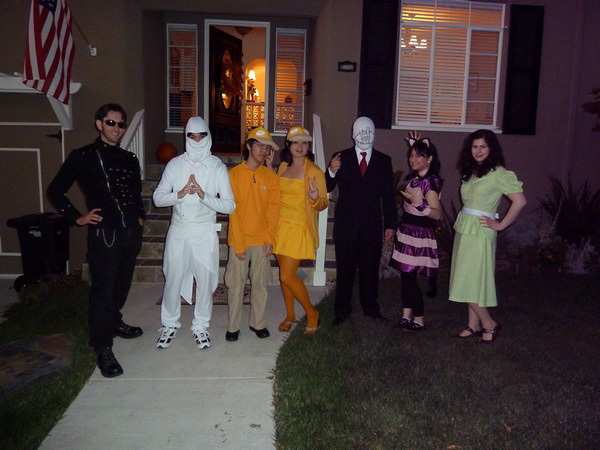 Also, Dave loves 20th Century Boys and would've thought your friend's costume was AMAZING. Looks like so much fun! Sorry we missed it!